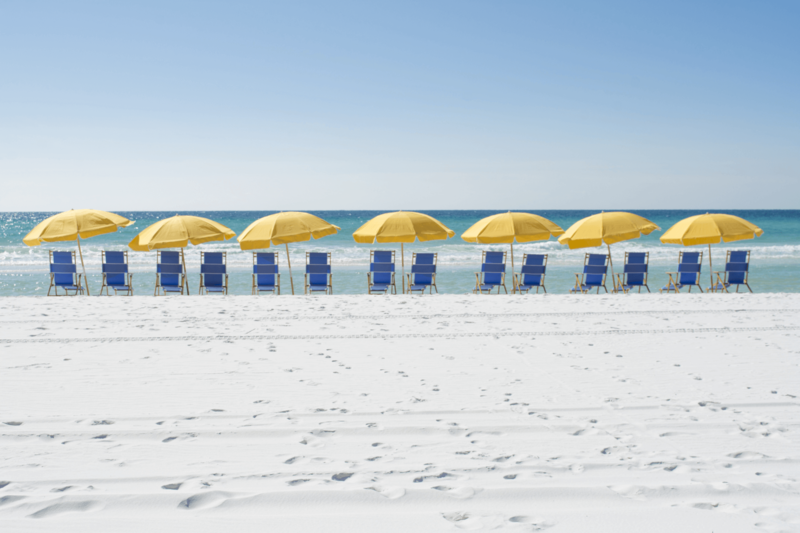 Wildlife enthusiasts delight in the many opportunities to encounter beautiful creatures throughout South Walton, Florida’s beaches. 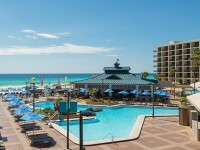 During your trip to Hilton Sandestin Beach Golf Resort & Spa, take a look around and you’ll find a variety of different sea creatures and birds who join you on the beach and in the emerald-green waters of the Gulf of Mexico. There are many different species of birds that live in (or visit!) South Walton throughout the year and during a day at the beach you’ll likely spot many feathered friends. Two of our favorite Florida beach birds are the Sandpiper and Heron — in fact, we’ve even named some of our meeting rooms after these birds. The Sandpiper is small/medium sized shorebird who can often be found digging through the sand probing for food. The Heron on the other hand is quite large, with a distinctively long neck and long legs. Heron’s walk slowly around the shore, but strike at lightning speed to snap up their food from the Gulf. While strolling along our beach, you may see dolphin fins peeping out of the water in the Gulf of Mexico. Dolphins often travel in pods, and it can be fun to stand with your ankles in the water and count the number of fins you see in the distance. If you’d like to get a little closer to these amazing creatures, take our complimentary tram over to Baytowne Wharf and hop aboard a sailing schooner. On your sailing adventure, you’ll explore the Choctawhatchee Bay and search for incredible sea creatures that call this area home. One of the most beloved sea creatures along Florida’s beaches is the majestic Sea Turtle. Green Sea Turtles and Loggerheads are the two most common species you’ll spot in Destin and South Walton. May through October is sea turtle nesting season, when female turtles crawl onto the beach at night to lay their eggs. While it’s exciting to see this process in action, it’s important that visitors do not disturb the turtles. Never touch sea turtles or their nests, and make sure to keep the beach clean and free of holes from umbrellas and sandcastles. Bright lights visible from the beach can also disrupt sea turtles — discouraging females from nesting attempts and luring hatchlings away from the ocean. Conservation efforts are essential in order to protect sea turtles and their nesting habitat. That’s why our staff worked with the Florida Fish and Wildlife Conservation Commission to install "turtle friendly" outdoor lighting throughout our property. These are just some of the many creatures you may encounter during your trip to Hilton Sandestin Beach Golf Resort & Spa. Visit our beautiful Florida beach resort on the shores of the Gulf of Mexico and see what other wildlife comes your way!